Of course, axolots are cuteness incarnate. This is not a debatable point. 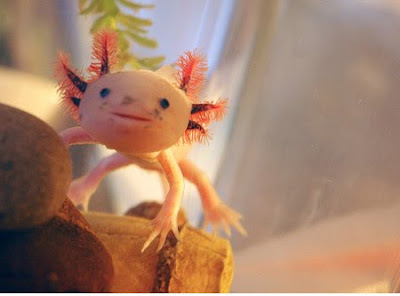 To deny that these often-smiling, baby-faced amphibians are anything other than adorable is to admit that your brain is diseased or your eyes don’t work or you’ve somehow associated the word axolotl with some other creature. Please, if you doubt me, examine these images of these real-life Pokémon doing the one task they have in life: frolicking carelessly in their watery homes. 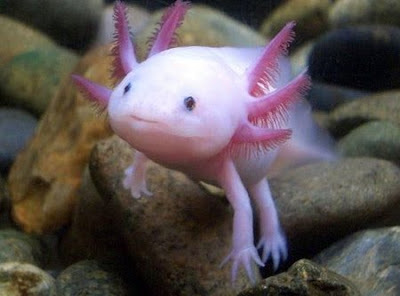 However, for axolotl advocates and deniers alike, I have news: As it always does, Japan has managed to amplify natural cuteness levels to dangerous new degrees, for in this fantastical island nation what we call axolotl is instead known as the wooper looper. An improvement? Yes. Should we have expected anything else from Japan. Certainly not. Japan’s top export is cuteness, after all. I’m unclear exactly why this specific term would have been applied to this animal, as the internet doesn’t seem to be hiding an etymology anywhere. I’m also not sure that wooper looper originated in Japan, where it would be pronounced something like “oopa roopa,” though one site claims that the term arose from a Japanese marketing campaign that aimed to get people to purchase and raise these critters. That site, however, is a Pokémon wiki, so I’m not sure how believable its non-Pokémon-specific information should be. 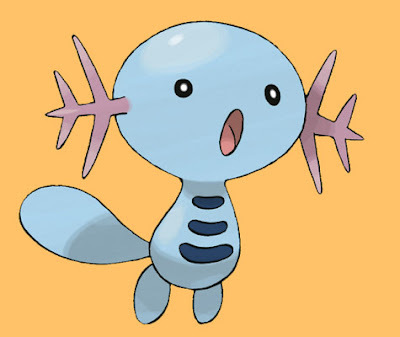 And, yes, there is apparently an axolotl-inspired Pokémon, Wooper. Note to Japan: Removing a thing’s legs is not a good way to make it seem cuter. I reccomend reading the short story Axolotl by Julio Cortázar. Sorry about the spelling mistake. I meant "recommend". 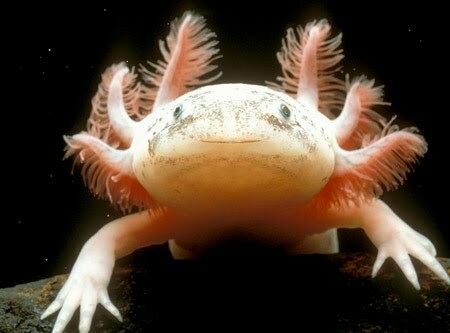 I always thought of the Axolotl being inspiration for a mudkip, rather then a wooper. Given the name and everything, it seems like it probably was the inspiration for wooper, but It still looks like a mudkip to me. Iwantoneofthose.com. I thought nothing could be cuter than my tortoise! I don't know. Your tortoise is quite the eye-catcher, I hear. It depends where you live. If you live in the US, you need a special permit to be allowed to keep one as a pet. Plus, they are pretty expensive. 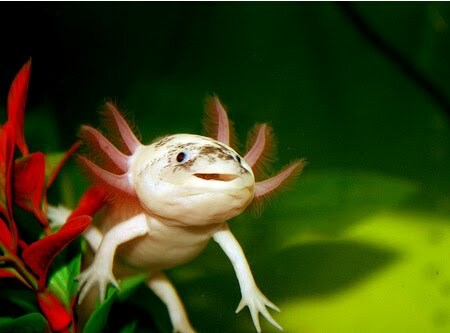 :D I've had 3 axolotls for awhile now. 1. Permit only neccesary in California and New Jersey. 2. Once the tank system is set up and you learn not to attach a spray bar to your filter, chance 1/4 of the water once a week, etc., its not expensive or too hard. 3. They arn't too expensive, theres a guy at www.theaxolotl.net that sells all albinos for 20 dollars and wildtypes for 10 dollars, and he usually throws in a free one. I am putting up a video soon on my youtube account TheEpeeMaster. I found this blog while trying to figure out why this little cutie is called a wooper looper in Japanese. I couldn't find anything good on the English side of the internet, so I moved to Japanese Wikipedia (the source for all knowledge). According to Wikipedia Japan, it got that name from a 1985 commercial for UFO brand instant noodles. They came up with a mascot axolotl character to sell their ramen, and made a song that says something along the lines of, "I'm wooper looper, I came down from a UFO~"
The pink text it's saying says, "I'm a messenger of UFO's love"
....that company has weird commercials to this very day, but I didn't realize it had been pulling this nonsense for 30 years. Haha. So anyway, I guess the Pokemon page was correct!